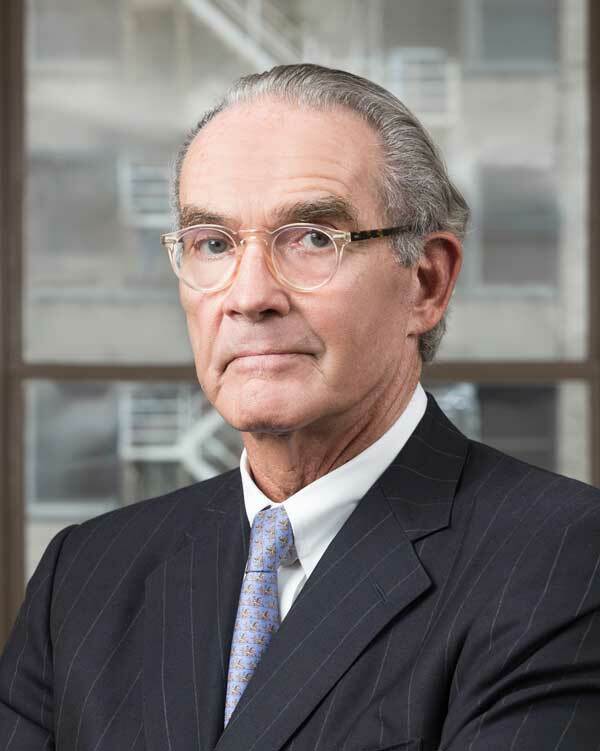 Jim Maloney’s expertise is trial work – the resolution of disputes – by trial or arbitration. Jim has the experience, knowledge and skill to manage and try a case in any business sector and in virtually every practice area at a time when the quality of lawyering has dramatically declined in civil courtrooms. Educated at Yale and a graduate of the Harvard Law School, Jim began his career at Baker Botts where he spent the next 35 years developing and sharpening the courtroom skills that have won him praise from peers and competitors alike. He has represented leading business executives and major corporations with a client list that has included Shell Oil Company, Pennzoil-Quaker-State, Reliant Energy and its predecessors, Match.com, Novartis, Lyondell Chemical Company, Southern Pacific Railroad Company, Ford Motor Company, Bridgestone-Firestone and the iconic oilman and investor, T. Boone Pickens. When he left Baker Botts in 2012, Jim had headed the firm’s securities litigation section and had also served as the longtime chair of the firm’s employment committee. More recently, Jim was a partner at Andrews Kurth. There, his clients included a major international oil and gas exploration company and a number of special and conflicts committees of boards of directors at public companies and master limited partnerships. Jim is widely recognized for his securities litigation work and has successfully navigated corporate takeover disputes, corporate investigations, class actions and complex commercial disputes of all kinds in both state and federal courts. Over more than 40 years of practice, Jim has tried in excess of 100 cases to jury and bench verdicts and managed thousands of others to successful resolution. Represented a major international oil and gas exploration company in an arbitration and related litigation against a major offshore drilling rig contractor and its lessee regarding the termination for cause of an assignment of an offshore drilling rig in Africa and associated drilling services. Represented a multinational pharmaceutical company against various state challenges related to its acquisition of a global eye care products company; cases were consolidated in a multidistrict litigation proceeding and ultimately dismissed. Defended the former directors of a publicly traded, worldwide automotive consumer products company in a three-week trial of a class-action suit over the sale of the company and allegations of breach of fiduciary duties, which resulted in a jury verdict for the defendant directors and a finding of zero damages. Represented a committee of independent directors of an independent oil and gas producer and operator in a trial of majority/minority takeover by an international vertically integrated oil company, in which the committee was dismissed upon the conclusion of the trial. Defended a major international oil company in a wrongful termination/FCPA whistleblower jury trial, which resulted in a verdict for the defense. Obtained summary judgment (state court) and dismissals with prejudice (federal court) of multiple putative class actions against major online dating service. Defended a domestic energy delivery company and its benefits committee in an ERISA class action alleging breach of fiduciary duty and imprudent investment in connection with its offering a company stock fund as a 401(k) option to employees; achieved a summary judgment, affirmed by the Fifth U.S. Circuit Court of Appeals for the defense. Represented dozens of special and conflicts committees of boards of directors for publicly traded companies and master limited partnerships in state and federal courts in Delaware and Texas. Represented a publicly traded, worldwide automotive consumer products company in multiple matters, including securities claims, derivative actions, challenges to acquisitions/divestitures and Lanham Act cases. Represented an industrial conglomerate in trade secret litigation. Represented a mining company in its multibillion-dollar sale and defended it against multiple challenges in Texas and Arkansas state and federal courts. Represented a major electricity provider in multiple securities and derivative actions. Represented a cable television provider in an antitrust suit over an acquisition. Represented a chemical company in various securities matters, commercial disputes and trade secret litigation. Represented a major chemical company in various commercial matters. Represented the corporate operator of hospitals and health systems in qui tam actions, tax disputes and other commercial litigation. 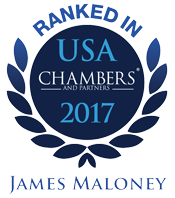 Chambers & Partners USA: America’s Leading Business Lawyers: Profiled as one of the leading Litigation: Securities lawyers in Texas, 2007-2017. The Best Lawyers in America: Commercial Litigation; Litigation – Mergers & Acquisitions; Litigation – Regulatory Enforcement (SEC, Telecom, Energy); Litigation – Securities, 2001-2019. Lawyer of the Year in Litigation – Securities for Houston, 2013. Texas Super Lawyers: Securities Litigation, 2003-2018. The Legal 500: Profiled as one of the leading Securities Shareholder Litigation lawyers in the United States, 2015. Benchmark Litigation: Local Litigation Star in Texas, 2013-2019. AV Preeminent® Peer Review Rated in Martindale-Hubbell. Featured in Law360 “Trial Pros” series for 2016.